Recommendations for crop management are based on agronomic diagnoses of yield determinants at plot scale usually without the farmers being involved in the evaluation process. Farmers may consequently not apply the recommendations that do not account for their own perception of yield determination. 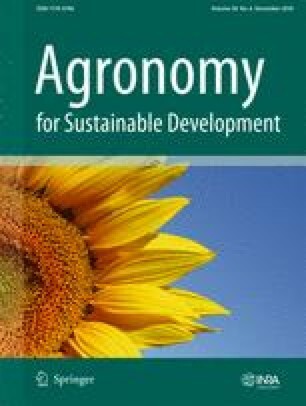 We assumed that (i) farmers have their own perceptions of yield determination; (ii) it is possible to access these perceptions through individual discussions with farmers; (iii) subsequent group discussions allow knowledge to be exchanged between farmers and a common viewpoint to be reached; (iv) agronomists can use this common viewpoint as a basis for building improved solutions in collaboration with the farmers. In this study, we used participatory methods to identify and discuss the visual references the farmers consider the crop growth as indicators to forecast the yield of their plot and the drivers they think affect these indicators. The study was conducted in two sites in the Office du Niger irrigated rice scheme in Mali and comprised three steps: (i) individual discussions with rice producers about their perception of how yield is determined, (ii) group discussions to share their individual perceptions and reach a common viewpoint, (iii) analysis of these perceptions. Seven production indicators and 29 factors that may affect these indicators were identified. The three mains indicators used by farmers were tiller abundance, hill density, and grain weight per panicle. Crop practices and constraints may prevent farmers from achieving high yields, such as a delay in the supply of fertilizers or in crop establishment. They had a complex perception of yield determination that was often close to agronomic knowledge. Here we demonstrate for the first time that farmers in the Office du Niger scheme have technical knowledge to which extension services could refer to provide relevant advice and tools for managing their constraints and improving yield. The European Union, IER/Mali and CIRAD/France supported this research. We thank colleagues from these institutions who provided insights and expertise, which greatly assisted our research. We thank the farmers in KO2 and Retail-IV, Office du Niger and IER officers for their participation in surveys. We also thank NGOs Nyeta Conseils/Mali and Lisode/Montpellier for their assistance. This study was funded by the European Union Seventh Framework Program (FP7-KBBE /2007-2013) under grant agreement number 265471.